LESSON XI - THE TIME OF THE JUDGMENT. - Daniel 8. Lessons From the Book of Daniel LESSON XI – THE TIME OF THE JUDGMENT. – Daniel 8. LESSON XI – THE TIME OF THE JUDGMENT. – Daniel 8. (a) WHAT beasts did Daniel see in his second vision? (b) What did they symbolize? (c) What other symbol was introduced? (d) What power did it represent? (e) What is said of its power, its work, and its fate? 1. While having this vision, what did Daniel hear? Verse 13. 6. What command was given to Gabriel? Verse 10. 8. How did these things affect Daniel? Verse 18. 9. What did Gabriel do to him? Verse 18. 13. What experience did Daniel then have? Verse 27. 1. THAT is, How long will this wicked, desolating power be permitted to carry out its cruel work against the cause and people of God? It is interesting to note the following points in regard to the question and answer: (1) The interest manifested by the heavenly angels in the affairs of this world, as indicated by the angel’s question. (2) The one to whom the question was addressed was evidently Michael, the first, or chief, of the princes (Dan. 10: 13), the only one who held (that is, had an understanding), with Gabriel in these things (verse 21). Michael is Christ. (See Dan. 12:1; 1 Thess. 4:16; Jude 9; John 5: 26-29.) It was certainly very fitting that Gabriel should ask Christ, the Archangel, for information. (3) Christ’s answer is addressed to Daniel, and lie recorded it, thus clearly indicating that it was designed for the comfort and instruction of the people of God in after time. As the cleansing of the earthly sanctuary in the type was a work of judgment, and came at the close of the yearly round of service, so the cleansing of the heavenly sanctuary is also a work of judgment, and constitutes the closing work of Christ as our great high priest. The 2,300 days, or .years, reach, therefore, to the solemn scenes of the judgment, described in Daniel 7, in immediate connection with which he heard the great words of the Papacy, and saw it given to the burning flame. Dan. 7:9-11. It will be noticed that the answer, instead of giving a period which would reach to the execution of God’s judgments upon the Papacy, and the deliverance of God’s people, gives a period reaching to the investigative judgment, a brief but indefinite time, just before Christ comes to execute judgment. 2. DANIEL sought for the meaning. He knew that the Lord had a purpose in giving this vision, as well as all the instruction which the Lord gives to His people through His prophets. The case of Daniel is an instructive one and his example is worthy of imitation. How differently the prophetic Scriptures are regarded by many at the present time. But Jesus says of Daniel’s prophecy, “Whoso readeth, let him understand.” Matt 24: 15. 3. THE one who appeared to Daniel in the form of a man was Gabriel. He came to answer his prayer and explain the meaning of the vision. That Daniel might know the nature of his errand, the command is given to Gabriel in Daniel’s hearing, “Gabriel, make this man to understand the vision.” This command came from the one of whom Gabriel asked the question about the time and the sanctuary, hence we know it was Christ. 6. 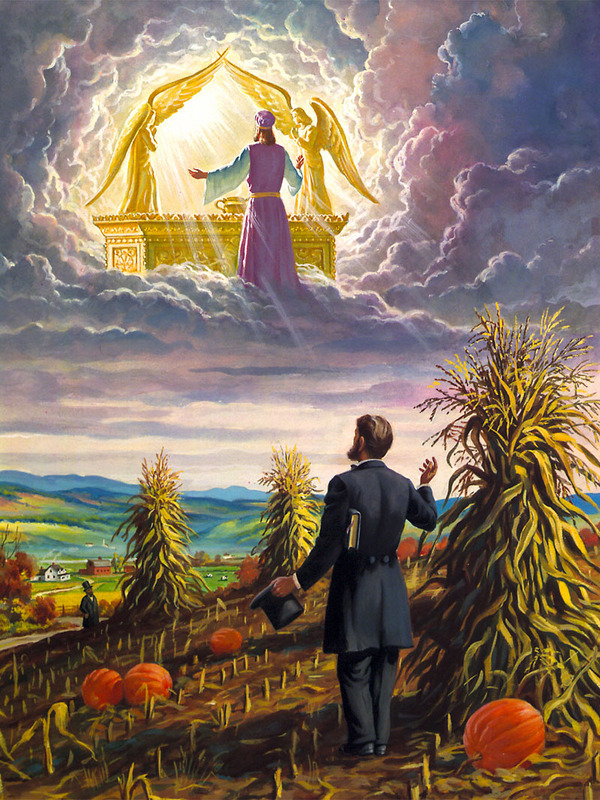 GABRIEL explained the symbols in chapter 8, but did not explain the 2,300 days; and as the time was made the leading feature of the vision by the striking manner in which it was presented, Daniel could truly say that he “was astonished at the vision, but none understood it.” That the time in connection with the event at its close is the most important part of the vision is proved by the fact that the time gives name to the vision. Gabriel calls it the vision of the evenings and mornings, or of the days, referring to the 2,300 days.